Cross Cut vs. Confetti Cut - Is there a difference? 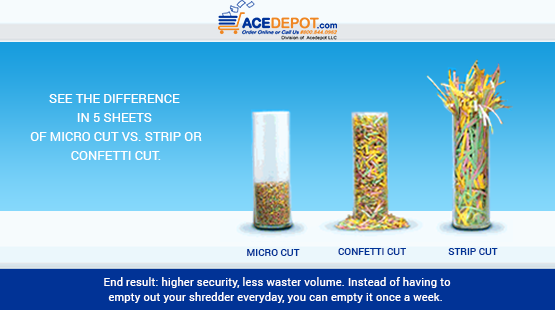 What is the difference between cross-cut and confetti cut shredders? A strip cut shredder will cut in strips that are 1/4" and the length of the shredded paper will be the same as the paper being shred. BOXIS Shredders "Meet Your New Employee"